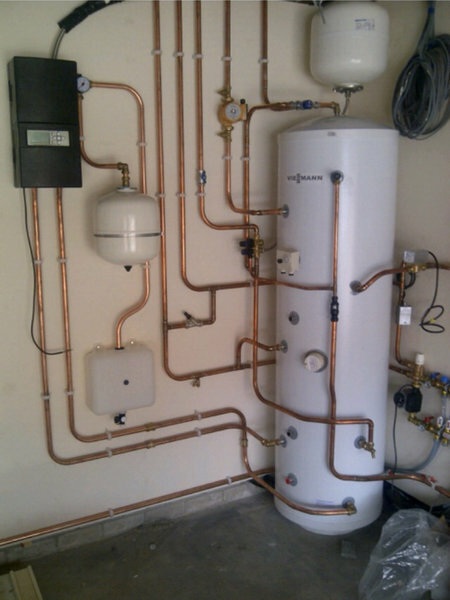 MET Gas Plumbers are a family run plumbing heating and gas Specialist. Our head office is in Dronfield just between Sheffield and Chesterfield. We operate throughout South Yorkshire and Derbyshire. Our Engineers have a combined experience of over 100 years and are all apprentice trained and time served. MET Gas Plumbers was established in 2005 by Michael and Hayley Ellis-Thomas, and over the past 14 years have grown steadily into a thriving small business with a fleet of vans on the road allowing us to provide a fast response to all our customers. We have become a major local competitor on Price, Quality and Service, our team of 4 uniformed engineers are experienced professionals who offer a first class service with a personal touch. Our team frequently undergoes extensive training and uses the latest electronic diagnostic equipment. We've been using Met Gas for the last few years after a recommendation from a family member. Each time they have been professional, friendly and charge a fair price for each job. Couldn't recommend them enough! Arrived on the day after phoning or less than 24 hours the second time. Sourced the problem and sorted it within a hour or two on a broken overflow pipe first time and a boiler not producing hot water the second. very reasonable price! great guys! Thank you very much for taking time to write us a review, we look forward to working for you again. I've been using MET Gas as my trades person for 8 years now. They have fitted a new boiler & radiators and continue to service the boiler each year. Their service is totally professional and trustworthy and they honestly care about what they do. I'm a satisfied customer who is more than happy to recommend MET Gas to all! Met Gas did a great job for us when replacing old central heating radiators with modern more efficient versions. Their engineers were polite, friendly and professional in the extreme. Inevitably through the course of the work some things changed and some parts were not used. Without having to be asked Met Gas deducted the cost of the parts from the final invoice and even reduced the labour charge accordingly. We would highly recommend this company. Yesterday I contacted this company Met Gas Plumbers as I needed a very small plumbing job to be carried out. I was given an immediate appointment for the following day. Today I recieved a call when the plumber was 20 minutes away. He knew exactly what was required and got on with the job. The only evidence that he had been in my home was that the problem was fixed! An excellent efficient speedy service. Had our boiler fixed by these guys and I couldn’t be happier.I will Fully recommend to all my friends and family. This was the first but definitely not the last time I'll be making use of Met Gas for our gas boiler & plumbing needs. Our work was scheduled within a few days of our initial enquiry, the quotation we received was fair, transparent & accurate and the engineer completed the work on the due date, quickly and without fuss or mess. Highly recommended by this customer. I have dealt with METGas for a number of years and always found them to be helpful and efficient. Their installions are very good quality and they offer very good value for money. Very pleased with service. Would call on them again! I've been very pleased with the level of Service of Mike and the team at Met Gas. Met Gas have been great at keeping us informed about their planned work and arranging times to work on our boiler. They've been easily contactable via email and quickly got back to me to talk me through boiler replacement options and other inquiries. Wouldn't hesitate to call on them again. Excellent level of service from a local, friendly and professional staff.